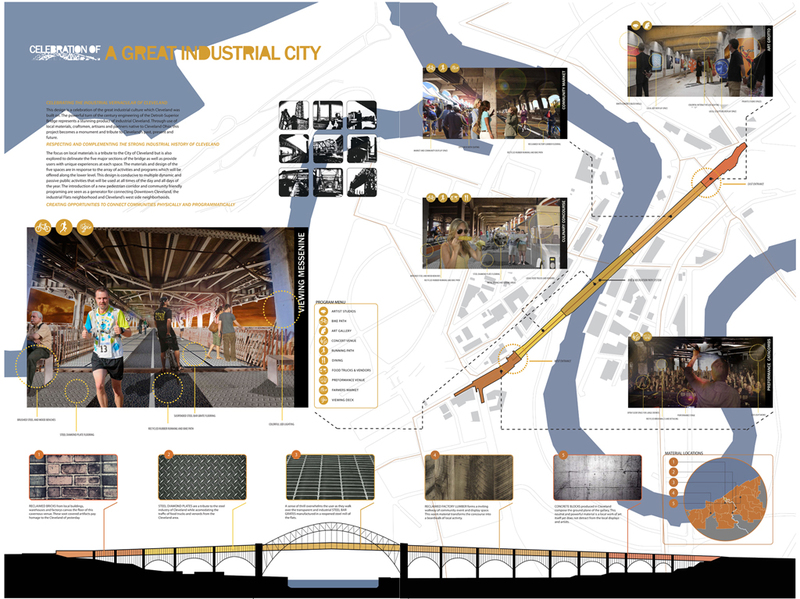 Overview: This design is a celebration of the great industrial culture which Cleveland was built on. The powerful turn of the century engineering of the Detroit-Superior Bridge represents a stunning product of industrial Cleveland. Through use of local materials, craftsmen, artisans and partners native to Cleveland Ohio; this project becomes a monument and tribute to Cleveland’s past, present and future. 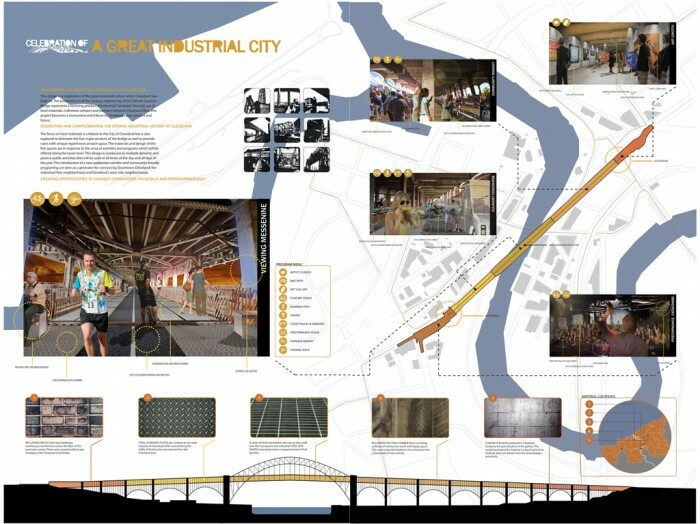 The focus on local materials is a tribute to the City of Cleveland but is also explored to delineate the five major sections of the bridge as well as provide users with unique experiences at each space. 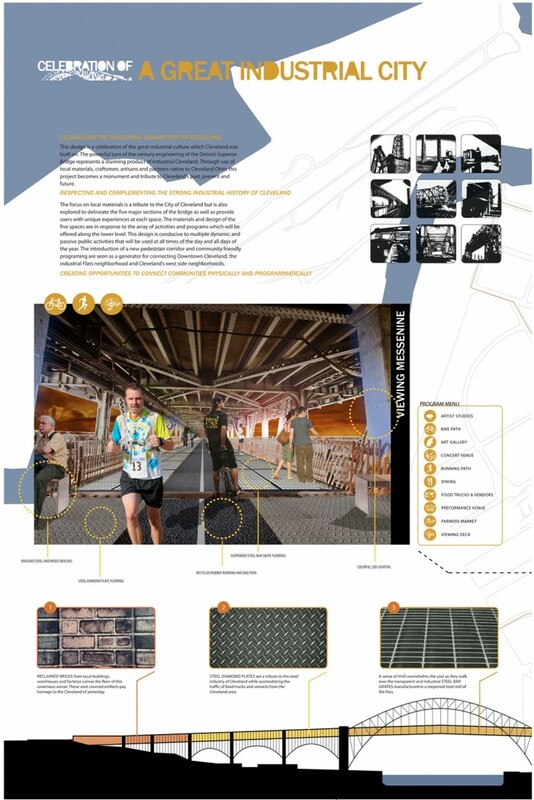 The materials and design of the five spaces are in response to the array of activities and programs which will be offered along the lower level. This design is conducive to multiple dynamic and passive public activities that will be used at all times of the day and all days of the year. 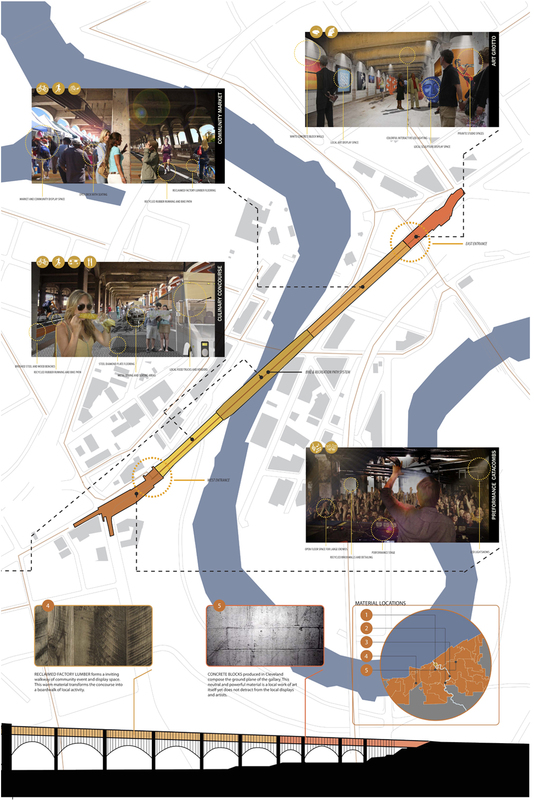 The introduction of a new pedestrian corridor and community friendly programing are seen as a generator for connecting Downtown Cleveland, the industrial Flats neighborhood and Cleveland’s west side neighborhoods.